5th CSIT World Sports Games in Riga are officially opened. 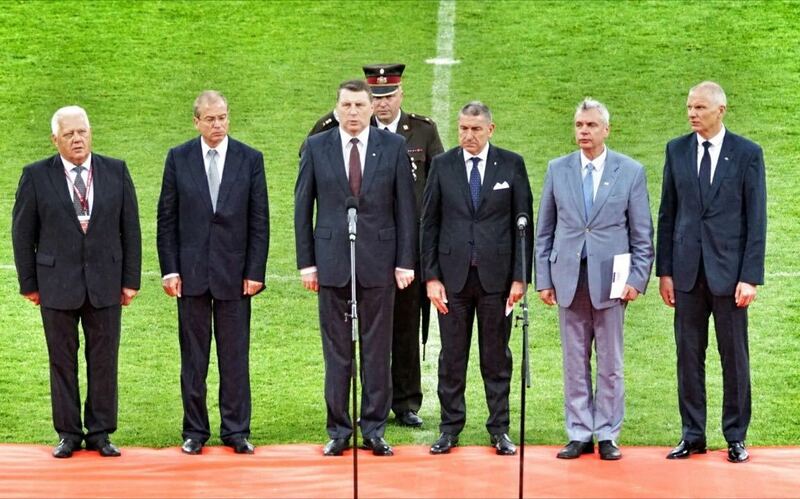 Riga, June 13, 20.15: “I declare the 5th CSIT World Sports Games in Riga officially open!” Historical words for the Latvian capital Riga; spoken by CSIT President Bruno Molea in the center of the football field in Skonto Stadium. It was the first official opening for the Italian after he had become the head of this international movement in October 2016. “CSIT is an old multi sports organisation. Our World Sports Games for workers and amateurs are a festival of friendship and Multisport for all, young and old, men and women, no matter of origin, with tolerance, respect, friendship and fairness. CSIT stands for fair play, which is one of the highest values in our movement. I wish you all the best success, to enjoy the Games 2017 here in Riga and to live our values and all the great positive emotions sports can bring,” Bruno Molea stated. Before the opening ceremony nearly 4000 participants organized in 40 teams walked through the city of Riga to finally join the big party in the stadium. After the official part and an extraordinary performance of the Latvian State Dancing Ensemble the Equipes moved to the covered training ground of the football team, because the heavy rain just did not want to stop. Other special guests at the opening ceremony: The Minister of Science, Education and Sports, Karlis Sadurskis, the Vice Major of the City of Riga, Andris Ameriks, the General Secretary of the National Olympic Committee of Latvia, Zorzs Tikmers and the LTSA President Andris Berzins. The fair play oath was spoken by Kaspars Gorkss, captain of the Latvian Football National Team and Gunti Zalitis, WSG 2017 Sports Director. The 5th CSIT World Sports Games will be closed on Sunday, June 18.